There will be a free CPR, AED, and First Aid training! 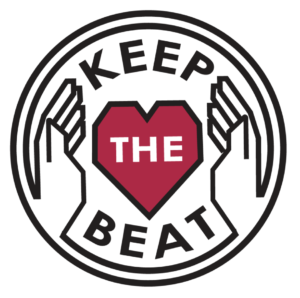 Keep The Beat strives to increased number of citizens throughout the community properly trained to recognize and provide initial care for a variety of emergencies. Importantly, this training will provide attendees with life-saving knowledge to help stabilize situations to allow emergency medical professionals to arrive. Short sessions (hands-only CPR) last 30 minutes and occurs from 4-7 pm at the Silver Lake Mall Common Area and Cabela’s. No registration is required. Long sessions (American Safety & Health Institute’s CPR, AED, and First Aid course) last 4 hours, starting at 8:00 am, 1:00 pm and 6:00 pm. These sessions will be held at CPR Central (503 W Appleway Ave, Coeur d’Alene). Register at http://www.cprcentral.com/beat.html or (833) 277-2368. Keep The Beat if funded by the Herbert D. McAvoy Fund in the Idaho Community Foundation. Thank you to our event organizers for helping to enhance community preparedness: 9-11 training LLC, Coeur d’Alene Fire Department, CPR Central, Kootenai County Emergency Management, Kootenai County Fire & Rescue, Kootenai Health, North Idaho Medical Reserve Corps, EFT, Heart Safe, Panhandle Health District and CDA 2030.